When it comes to skin cancer, melanoma often hogs the spotlight, as it's the deadliest form. But basal cell and squamous cell carcinomas shouldn't be ignored. While they're far less likely to be fatal, these cancers, which affected 2.2 million Americans in 2006, can be quite serious and can often be treated only with surgery that can leave significant scarring in its wake. 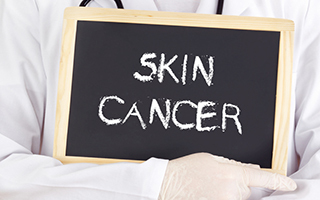 Fortunately, there's good news when it comes to preventing non-melanoma skin cancer. Of course, protecting your skin from the sun should always be your first step, but new research shows that a form of vitamin B3 may be able to help. This study was conducted in Australia, and the 386 participants had all experienced two or more non-melanoma skin cancers in the last five years. The average number of cancers per participant was eight, and one had even dealt with 52 cases! That's reason enough to stay out of the sun right there. It’s the biggest at-home skin-care trend to hit the industry in over a decade. 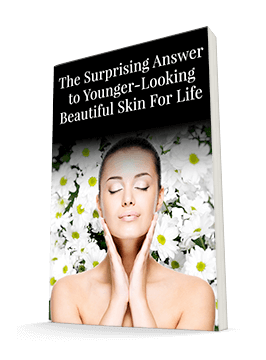 And while microdermabrasion may offer some remarkable benefits... Frankly, I have some concerns. The participants took either nicotinamide, which is a form of vitamin B3, or a placebo twice a day for a year. The group that took the vitamin experienced an average of 1.77 new cancer cases in that year. That sounds like a lot-but the group that didn't take the vitamin experienced an average of 2.42 cases. After statistical adjustments, the risk reduction for the vitamin group was 23 percent! The group taking nicotinamide also experienced fewer cases of actinic keratosis, which is a skin condition that can turn into skin cancer. One of the most promising outcomes of this study was the lack of side effects for the patients. Other forms of vitamin B3, such as niacin, can cause headaches and flushing, and retinoids, a form of vitamin A also used to prevent skin cancers, can cause birth defects. Aspirin and other non-steroidal anti-inflammatory drugs have also been used as preventative measures, but these aren't without side effects either. The lead investigator, Dr. Diona Damian of the University of Sydney in Australia, said of nicotinamide, "It's safe, it's almost obscenely inexpensive, and it's widely available." However, she does caution that these results have only been demonstrated for people who have experienced multiple skin cancers, and so vitamin B3 may not be a solution for everyone. If you've suffered from basal cell or squamous cell carcinoma in the past, talk to your doctor about supplementing with vitamin B3. It may help prevent a more serious case in the future. If you haven't experienced skin cancer, take this as another reminder to stay vigilant about your sun protection.